What Is Digital PR and How Are Brands Using It? Digital PR is a term that has been thrown around a lot in the marketing and PR industries recently, and an increasing number of people are choosing to incorporate it into their marketing toolkit. In this blog, we explain what digital PR means, explore some innovative examples from big brands, and suggest ways you can create an effective digital PR strategy. Digital PR is a digital marketing strategy which aims to improve the online presence of a particular brand and their associated website or social media accounts. It includes a range of different strategies but has the key aims of gaining high-quality backlinks and increasing brand awareness. In terms of SEO, digital PR is a form of link-building which primarily focuses on gaining links from high-quality online publications relevant to your industry. It also provides the opportunity to reach new and wider audiences with interesting and engaging content. Digital PR should form an important element of your ongoing digital marketing strategy because it will help to improve your website’s domain authority and presence in search engine results. How have big brands used digital PR? In the run-up to Christmas 2018, everyone was patiently awaiting the release of the latest John Lewis advert. Having become something of a Christmas tradition, the John Lewis advert is guaranteed to be viewed by millions of people globally. 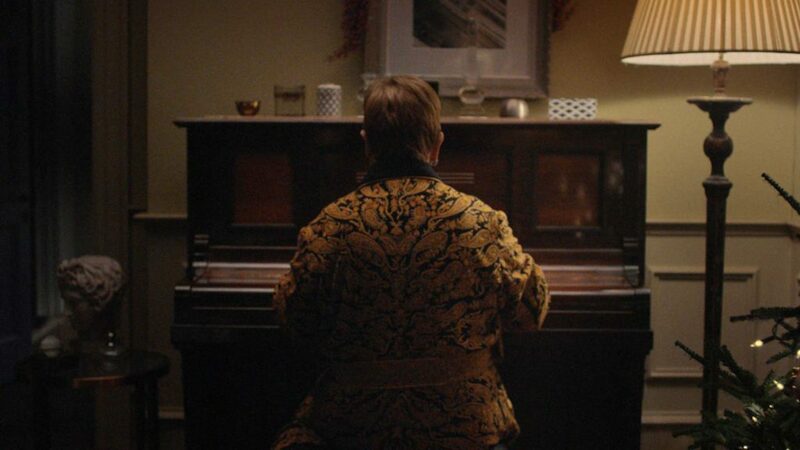 Rather than hosting their advert through an external video streaming service, such as YouTube, John Lewis chose to host the video directly on their website. As a result, anyone discussing the advert in an online article would link to the John Lewis website rather than YouTube or another hosting platform. This meant that John Lewis gained a large number of backlinks simply from people discussing their famous Christmas advert! In 2017, the vehicle insurance firm Staveley Head partnered with London Metropolitan University to complete a study on the bacteria present on London public transport. They looked at the cleanliness of a variety of transport, including the tube, buses and taxis. From the study, they created an interactive feature which allows users to explore London “Under the Microscope”. While this study was not directly related to their insurance business, “Under the Microscope” was incredibly successful in generating coverage and website traffic for Staveley Head. The interactive study attracted 17,221 unique visitors and generated coverage from The Daily Mail, Wired Magazine, The Independent, International Business Times, Yahoo, the BBC and ITV News. In an increasingly uncertain political and environmental climate, people are more curious and concerned than ever about how big changes will affect them. This has led to the significance of another type of interactive online feature – tools which help to answer important user questions. A key example of this kind of a tool was a tax bill calculator, created by the New York Times to help people understand how US tax changes would affect them. 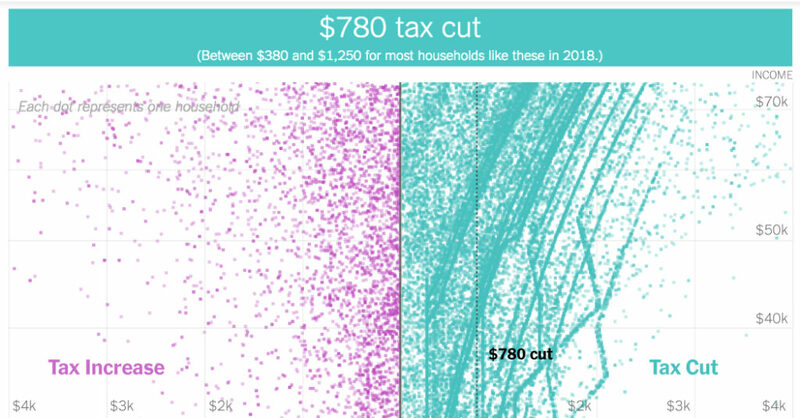 The graph on their website contains numerous tiny dots, each representing a household who would face either tax increases or tax cuts. As of March 2019, this calculator has over 2000 backlinks from 221 referring domains. Another example of an effective online tool is the Earth Day plastic pollution calculator. You can enter estimates for how often you use certain plastic items and it will calculate your yearly total. Underneath the tool, there is an encouragement for users to take further steps, including making a financial pledge to the charity. This type of emotionally stimulating content often makes a real impact on consumers and will be linked to by numerous different articles. This page currently has 938 total backlinks. The key to an effective digital PR strategy is original and engaging content. It’s not easy to say exactly what will become “viral”, but you need to offer some insights in your particular industry. Your goal should be to help people to learn something new, enhance their understanding of a particular topic, or get them inspired to act in a particular way. It is not necessarily about getting coverage in national or international publications, although that is a great result. For smaller brands, it’s more about targeting the online publications in your particular sector and offering them a piece of content that is genuinely valuable that they will want to share with their audience. Look for any content gaps in the leading sector publications and see if you can produce something to fill it. Alongside putting time and energy into the creation of really valuable content, whether that’s an article, a video, or an interactive tool of some kind, you also need an outreach strategy. The big names like John Lewis and The New York Times are able to make an impact almost instantly because of their existing status. However, smaller brands need to shout about their content to let people know it exists. The first stage in your digital PR strategy is creating a list of prospects for outreach, making sure these are all relevant and of high quality. As you begin your process, you need to find a way of keeping track of who you have spoken to and who has shown interest. It’s also important to take note of the links you have already secured so that you can measure your progress. We hope this exploration of the world of digital PR has been useful and you are feeling inspired to create some engaging new content. For more information about how we can help you with digital PR, content creation and other SEO services, you can get in touch with either our Exeter or London offices here.